Too broke for a movie date but still want to catch the latest hits? These legendary single screen theatres are here to save your back and your pockets. A hop and a skip away from Deshapriya Park and you will reach Priya Cinema. The viewing experience is top-notch and they don’t even burn a hole in your pocket! The last row and recliner seats are a tad bit expensive (INR 200 to 250 depending on show timings), but the balcony and box seats hover around INR 150 to 160. They screen almost all the Hindi and Bengali films, and most of the English films, so if you’re short on cash, count on Priya. Did you know Menoka Cinema is situated on the street where Satyajit Ray temporarily stayed while shooting some of his masterpieces? If you want to catch the latest movie at just a 100 or 130 bucks, Menoka should be your first choice. The viewing experience and overall theatre ambience might not be the best, but it is quite decent for a price like that. The best part is that Rabindra Sarovar us just next door, and so are the delectable street food stalls. So if you’re on a budget date, a movie at Menoka, some street chai, and a stroll by the Lakes is what you’re looking for. This is one of the venues where you can watch world cinema when the international film festival comes around every year. Rest of the year, you can watch your fave mainstream cinema - for a maximum ticket price of INR 140, you get a great viewing experience and a top-notch sound system. Want the quintessential single screen theatre experience? New Empire is one of the legendary ones (Rabindranath Tagore even staged one of his plays here!). They might not screen all the movies that you might want to watch, but if you find one you like, we suggest you go there once. A slice of history at an affordable price, guaranteed! And not just that, they also have their own adjoining restaurant, alongwith other outlets like KFC, Dominoes, and Scoop. If you’re a resident of Behala and feel lazy to travel all the way to the nearest multiplex, just hop into Asoka. Whatever be the show timings, ticket prices almost never cross 150 bucks. And take our word when we say their cheese popcorn is to die for. A heritage film theatre, Basusree dates back to the year 1947. 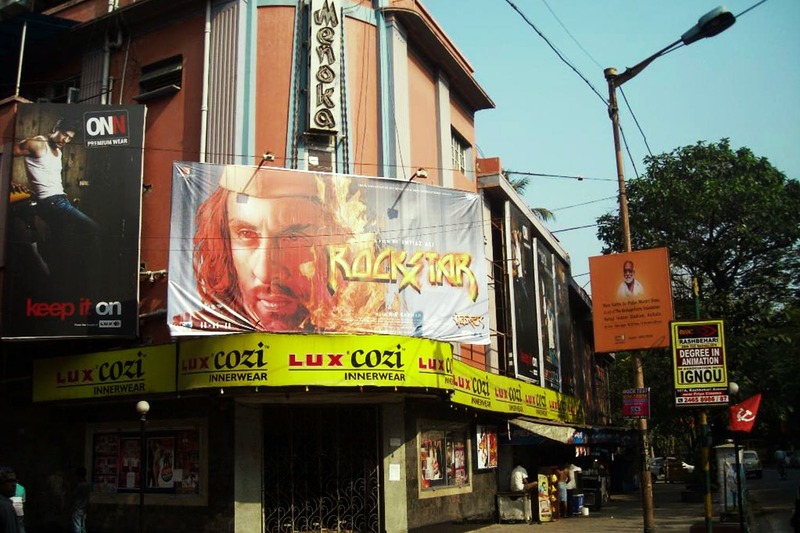 A decent and well-maintained indie cinemal hall, it is known to host this festival for the last few years, and also screening films for the Kolkata International Film Festival. In 2018, Alliance Française du Bengale and the Institut Français en Inde had lined up a series of excellent French films here on Sundays.